People attend conferences for one reason: to gain access to information they can't find on their own. Will your conference fulfill that need? 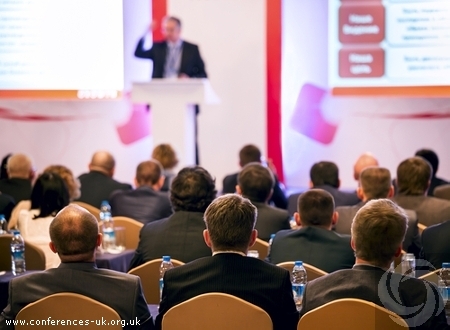 Although we have extensive experience in locating the best UK venues, we also have seen our fair share of conferences planned by our clients. Out of these events we've taken away an important lesson-failing to target your audience leads to poor outcomes. Before your event becomes another statistic, consider a few simple ways to identify and engage your audience clearly and correctly. Send Out Teaser Emails Data collection is a great place to start. Send out emails to your lead list and ask people to sign up for your event if they are interested. Online registration allows you to identify the demographics for your idea. You can then consistently feed these recipients information about the day and what they can expect. Building anticipation leads to a better turnout and knowing who plans to come gives you better data to work with. Connect On Social Media Similar to collecting data via email, send out a tweet about your conference and see who responds. Any action is positive, and allows you to see the scope of your audience. A little research can help identify what your audience wants to see and experience at your event. Incorporate Panel Discussions Expert panels are critical to your event. Of course, you'll also need an event space large enough to hold a panel of several experts in front of a couple hundred individuals. The Cotswold Conference Centre and the Kettering Conference Centre are a couple of excellent locations for this type of event. The key is to make the content worthy of sitting through. Comfortable Surroundings In addition to ample seating, it is important that your space also includes Wi-Fi, common areas for relaxing between presentations, and refreshments such as coffee and finger foods. Give your audience a reason to stay and make their time there as relaxing as possible. Figuring out who your audience doesn't have to be difficult. Use data from your email list and social media to base the content of your event on. From there, choosing from the best UK venues is made easy as you know what they want. Don't wait to start planning your conference. Forethought and planning go a long way towards making your event a true success.